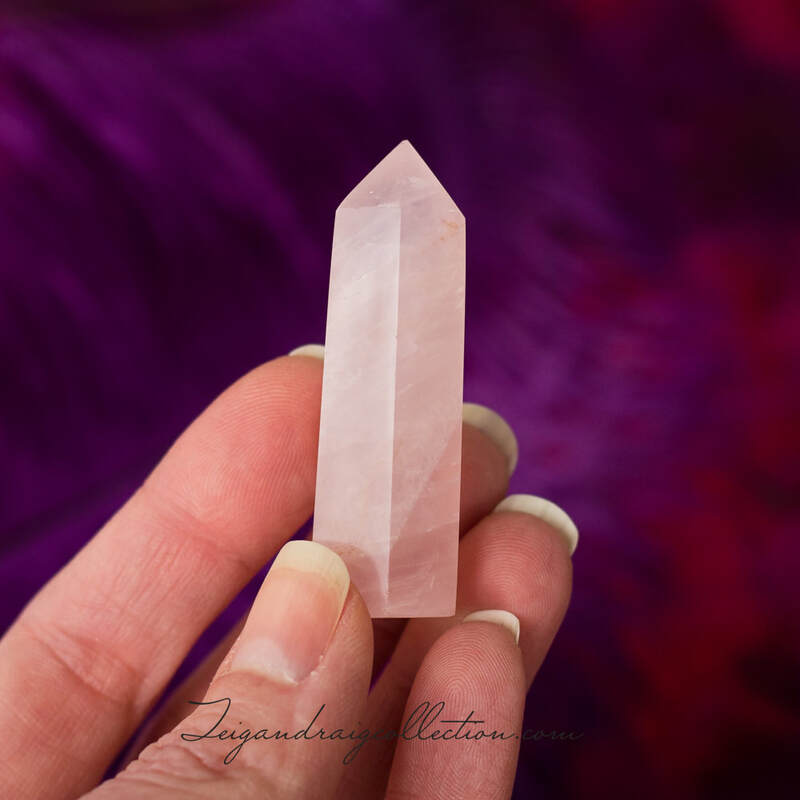 Rose quartz is a wonderful master healing stone that dispels negativity and aids in projecting love, peace, and kindness, while facilitating Divine connection, and self-love. 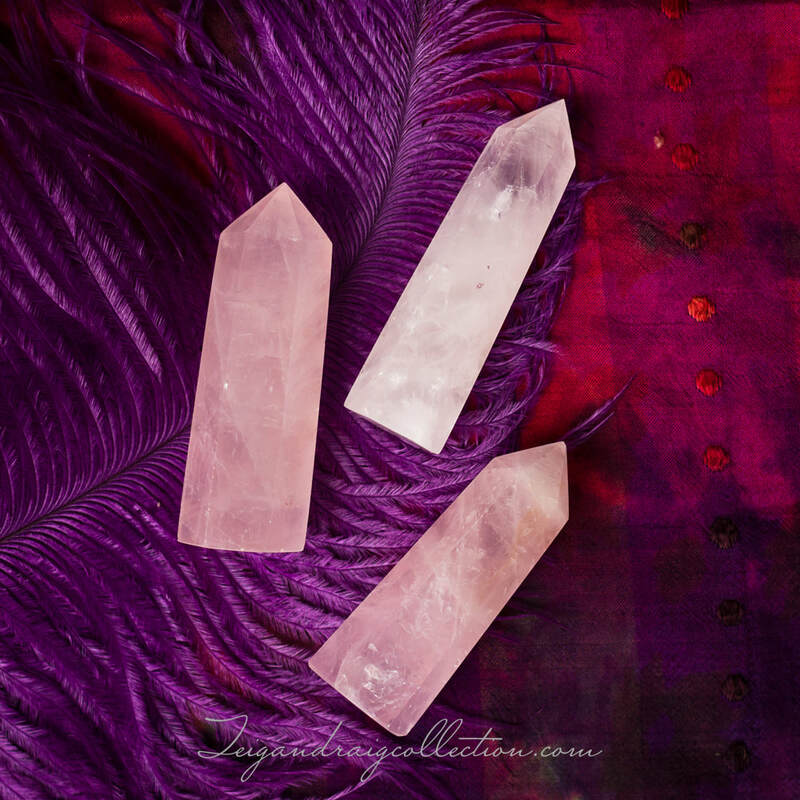 Rose quartz fosters empathy, reconciliation, and forgiveness of others. Rose quartz helps to lower tension and stress, and clears out anger, jealousy, and resentment. Rose quartz encourages the heart to heal by allowing the holder to release the negative emotions that can cause diseases of the heart. 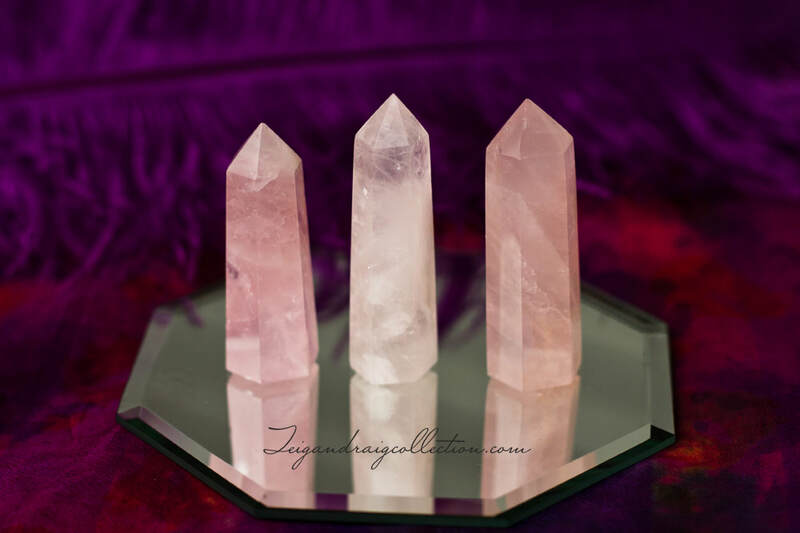 Rose quartz is associated with the Heart Chakra. These points measure approximately 2 - 2.25 inches tall.